Compare the best online dealer prices before you buy 2019 1/10 oz Gold American Eagle $5 Coin coins. 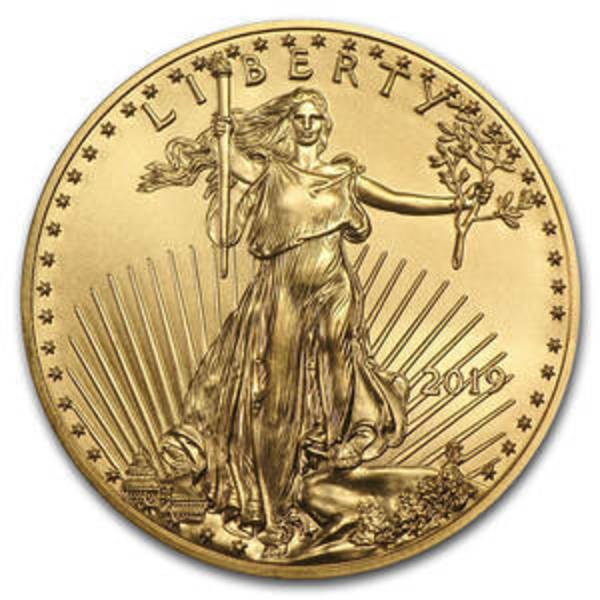 The 2019 1/10 oz Gold American Eagle $5 Coin coin contains .10 troy ounces of gold bullion. The melt value of one 2019 1/10 oz Gold American Eagle $5 Coin coin is $127.79 based on the current gold spot price. The average price for 2019 1/10 oz Gold American Eagle $5 Coin for the past 7 days is $145.62. The Gold American Eagle Coin Series has been produced by the US Mint since 1986. For more than thirty years the American Gold Eagle has remained the most popular and dominant gold bullion coin among investors and collectors. The American Gold Eagle series celebrates two iconic and proudly American symbols: Lady Liberty and the American Bald Eagle. Gold American Eagle coins are known for their status as a liquid asset and make a solid and stable financial investment for a balanced portfolio. 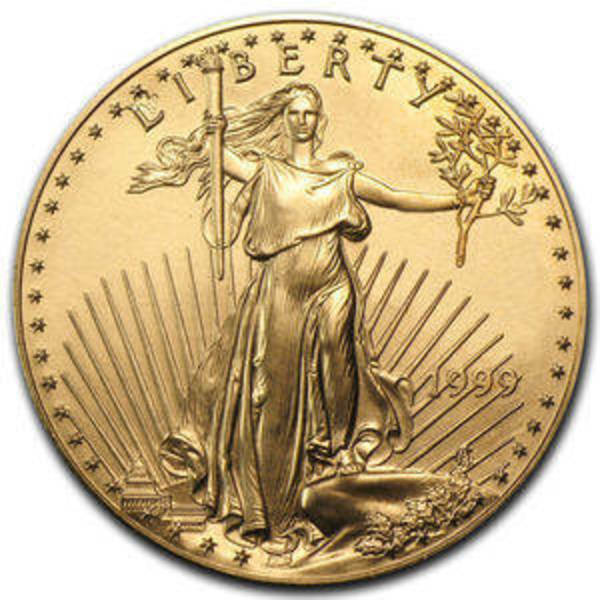 The obverse of the American Gold Eagle features the full image of Lady Liberty, based on the 1907 Saint-Gaudens $20 Gold Double Eagle design. She holds a flaming torch and an olive branch. The obverse also features the mintage year and “Liberty” across the top of the coin. The reverse has an American Bald Eagle flying to its family, designed by Miley Busiek along with the denomination and weight markers. The 1/10 oz Gold Eagle Coin is the smallest denomination in the American Gold Eagle series. In addition to the intrinsic value in the gold, the 1/10 oz Gold Eagle carries the face value of $5. 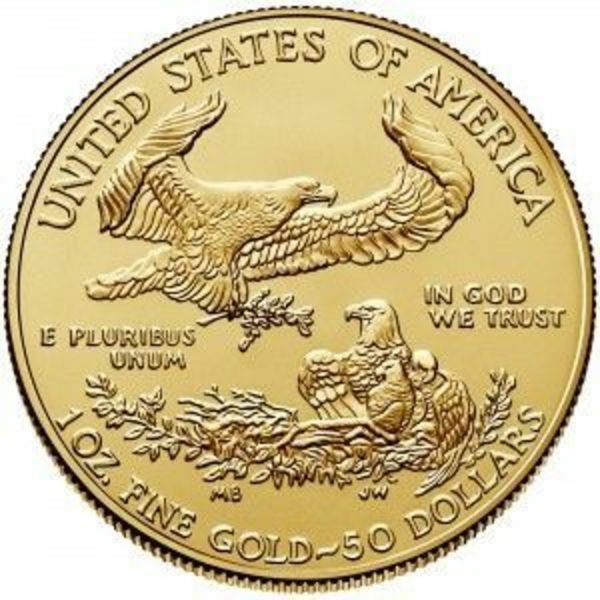 FindBullionPrices.com searches over 30 national, reputable and trusted bullion dealers to find the lowest prices on 2019 1/10 oz Gold American Eagle $5 Coin and other American Gold Eagles products. The prices on our site for gold bullion and coins are updated hourly and adjusted for gold spot price. We give you the tools to compare gold prices from reputable and trusted bullion dealers. 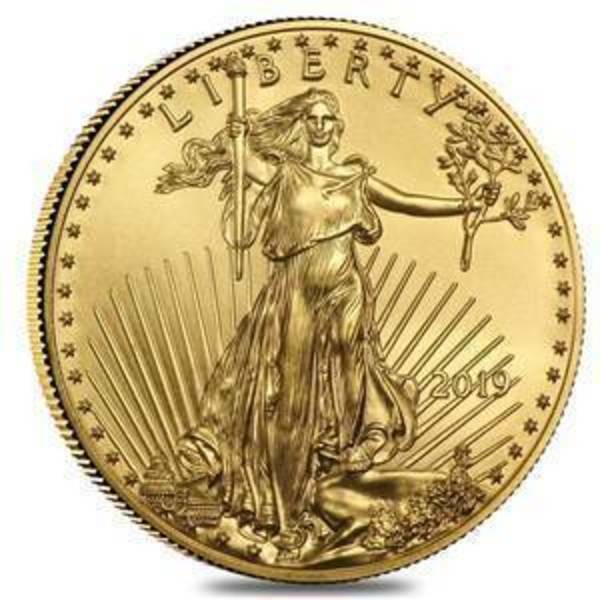 Compare 2019 1/10 oz Gold American Eagle $5 Coin prices across bullion dealers to pay the lowest price. 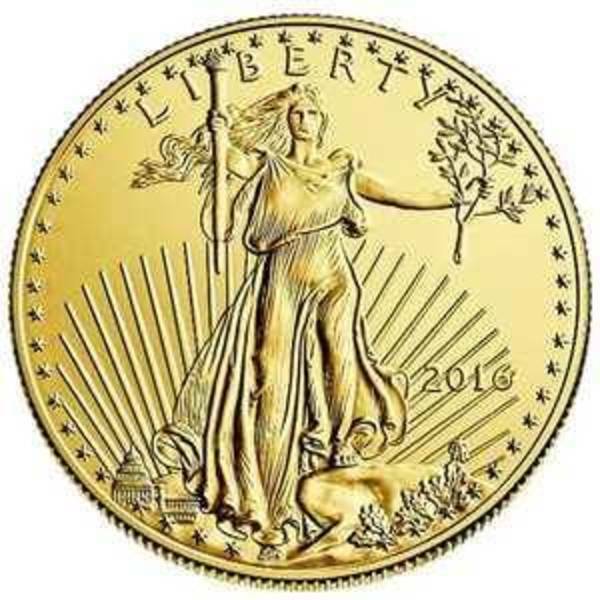 We will help you find the best prices for 2019 1/10 oz Gold American Eagle $5 Coin when you're ready to buy.